Just one full week left until September. Arrive on May 3rd, 4th, or 5th and stay for 7 nights for only £500. Was £550. Wonderful location for early May. 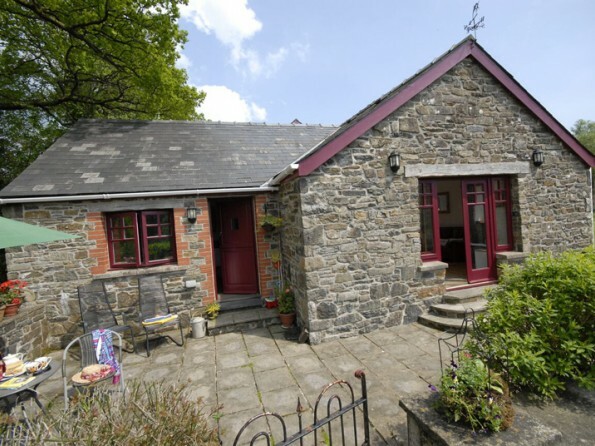 Stunning barn conversion adjacent to 40 acre private woodland near Laugharne in West Wales. 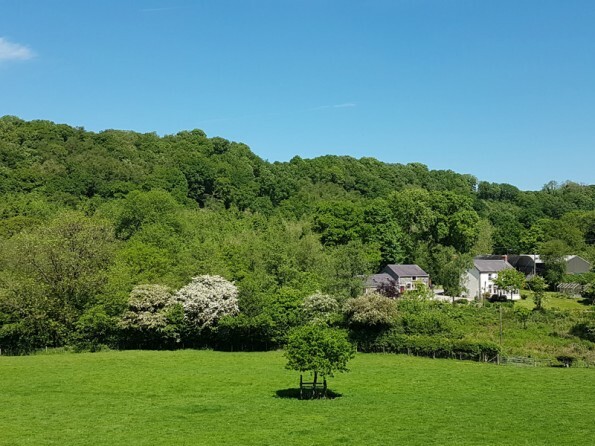 Old Oak Barn is perfect for those wanting peace and privacy and is hidden away in its own valley but only 5 minutes from the A40 at St Clears near Carmarthen. Free wifi. Children always welcome. We opened in 2005 and since then have had a steady stream of visitors wanting to explore this lovely part of West Wales. Very near Pembrokeshire coast with so many wonderful beaches and the coast path. 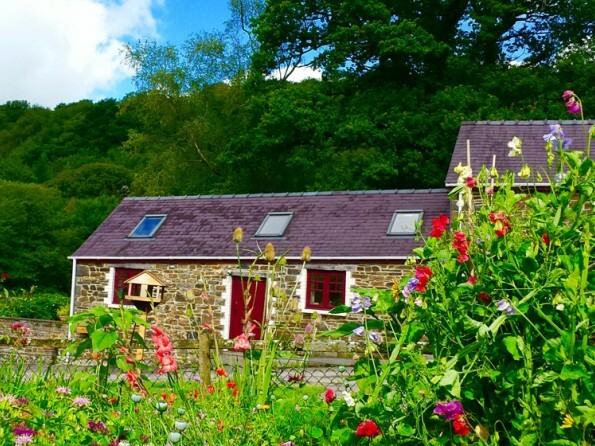 The barn is very well equipped and is very suitable for families with young childrn or for those wanting to get away from it all - and with reliable and free WiFi access. Two bedrooms, one huge living room with large table plus two sofas and a very well equipped kitchen with all mod cons - please enquire for more details. The local area is well known for its green pastures and wooded valleys as well as ancient castles and beautiful sandy beaches. The two main rivers in the county are the Teifi and the Tywi and coracles can still be seen on both. We are only 30 minutes from the Preseli mountains. This part of Wales is steeped in history and visitors may want to visit Laugharne, Carmarthen, Narberth or Haverfordwest as well as the many seaside towns. 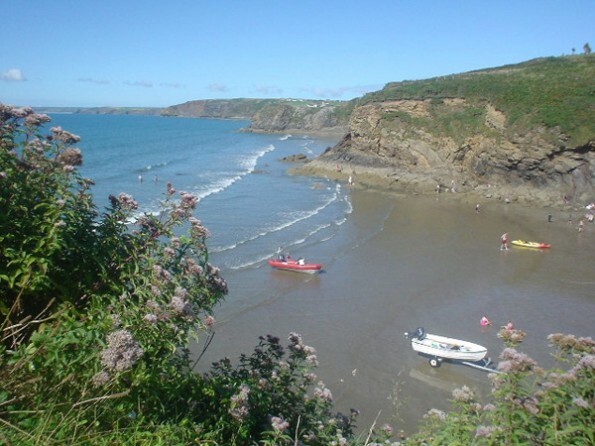 The beautiful coastline of Pembrokeshire and Carmarthenshire is easily accessible for day trips. Aberglasney and The Botanic Gardens are both only a short distance. Many of our visitors of all ages take a trip to Bronwydd to see the Gwili steam railway. Car essential to enjoy the area fully. The kitchen is exceptionally well equipped and contains all you may need for your holiday or short break. The two bedrooms are simply furnished and are adjacent to the spacious main living room which measures 6 x 5 mt. Travel cot or camp bed can be used to sleep 5. Underfloor heating a real plus - and each room individually thermostatically controlled to suit your preferences. Wonderful south facing stone patio with french doors from the main room. Old Oak Barn is situated on the owners 72 acre farm with its 40 acre semi natural ancient woodland adjacent to the barn. Perhaps the best time to visit is during May when the spring birds are at their most vocal. Bluebells adorn our woods and walking locally is at its best. Without doubt what we enjoy most about the area is the sea including the Pembrokeshire coast, The Wales Coast Path, the island of Skomer with its puffins, the wonderful beaches, the coastal walks and the magnificent variety of birdlife. Cwmpalis woods has over 50 species of birds in the spring and summer.